The Star reports the federal NDP is demanding a special Commons hearing for further clarification on the Harper government’s wireless industry plans. “I’m calling on you to help Canadians have their say, out in the open” on telecommunications policy, NDP industry critic Chris Charlton said Monday in a letter to the head of the Commons industry committee. Despite Parliament being prorogued, Charlton wants Conservative MP David Sweet to hold meetings of the Commons industry committee to hear public testimony on the Federal government’s wireless policies, which have become a controversial issue for incumbent wireless carriers. She says the hearings should steadfastly take place prior to the September 17, the deadline in which companies must place a deposit down to indicate participation in the upcoming January 2014 spectrum auction. 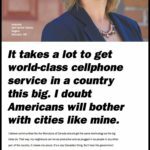 The website being referred to is ConsumersFirst.ca, a site created by the Conservatives which was launched last Friday, when Industry Minister Moore embarked on a national tour to “strike back” against the rhetoric and PR campaign of Rogers, TELUS and Bell. Moore reiterated the government has already delayed the 700MHz spectrum auction twice and it will proceed as planned next year.